Ever since my daughter Gabbie & I played the hand wash game she has been one to remind her brother and other members of our family to wash hands whenever needed. The song is so catchy I often times catch myself singing to it while washing my hands. If you haven’t seen it yet you can watch our #germsbyebye video HERE. 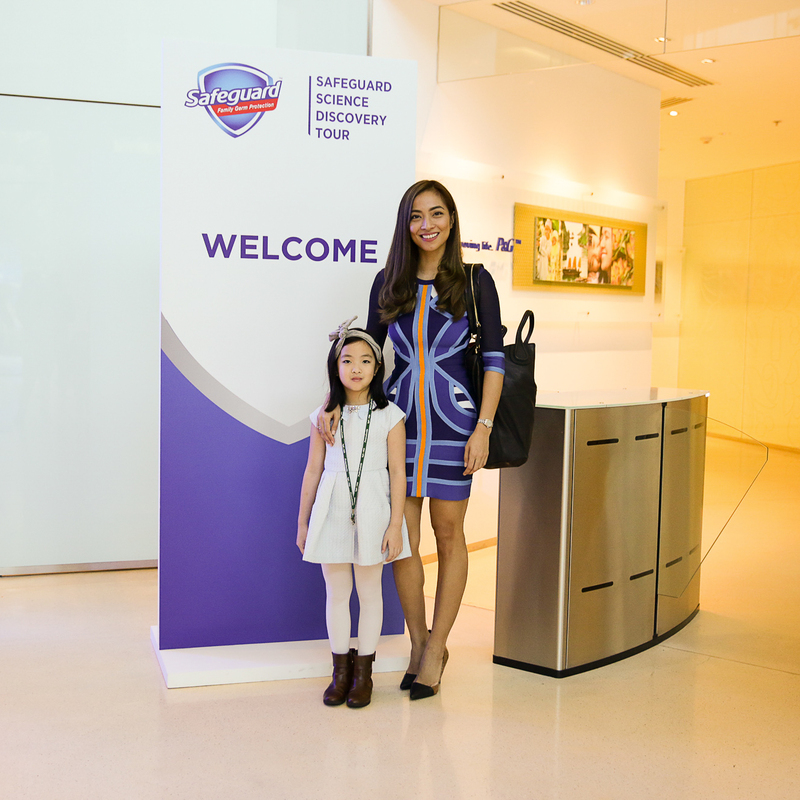 Last month Safeguard invited me and Gabbie along with a handful of other mom-child duo to Singapore for their science discovery tour. 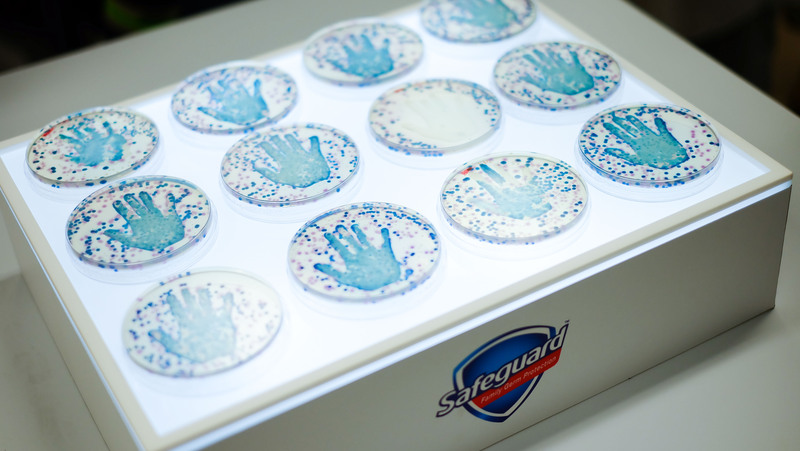 It was a day of learning as we visited P&G Innovation Centre to learn more about germs and how Safeguard can effectively kill 99.9% of it! 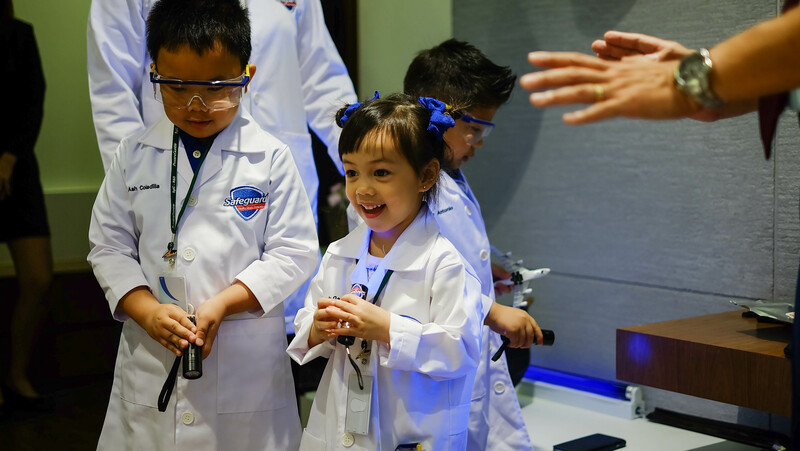 It wasn’t my first time at the P&G Singapore Innovation Centre–my first visit was two years ago for Olay–but it was a first for my daughter Gabbie and for the center to open their doors for kids! It’s also officially our first time to travel alone out of the country without our boys. I guess we can start a new tradition na since we enjoyed our ‘girls only’ trip. Safeguard Science Discovery Tour 2017 Delegates. I was literally caught on camera being a blogger. Heehee. 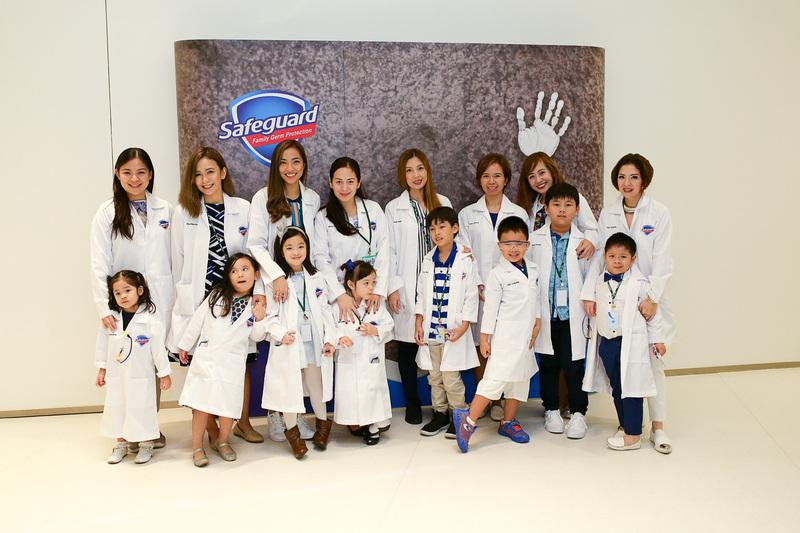 All set to discover more about Safeguard. First stop, Consumer Home! 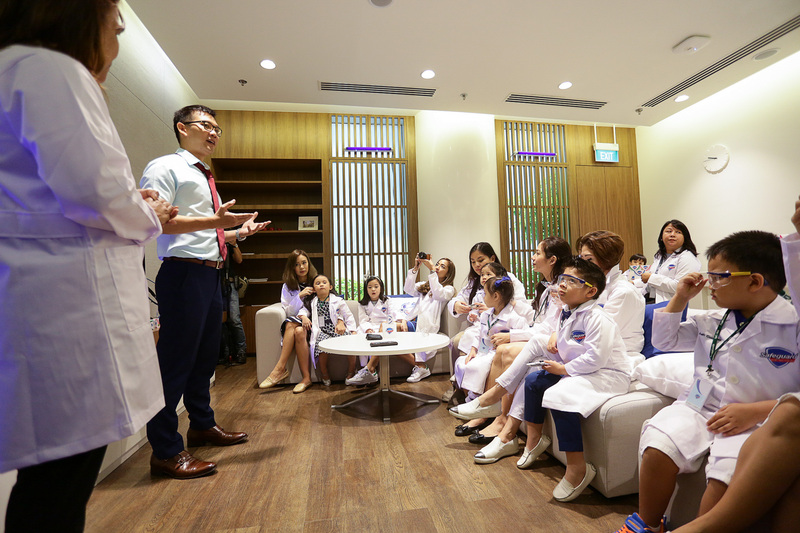 David Khoo, P&G Senior Scientific Communications Specialist welcomed us inside P&G Consumer Home. It’s literally a mockup of a Singapore home. David asked for volunteers to be Germ Hunters! Their mission? To look around the house for germ-infested items! 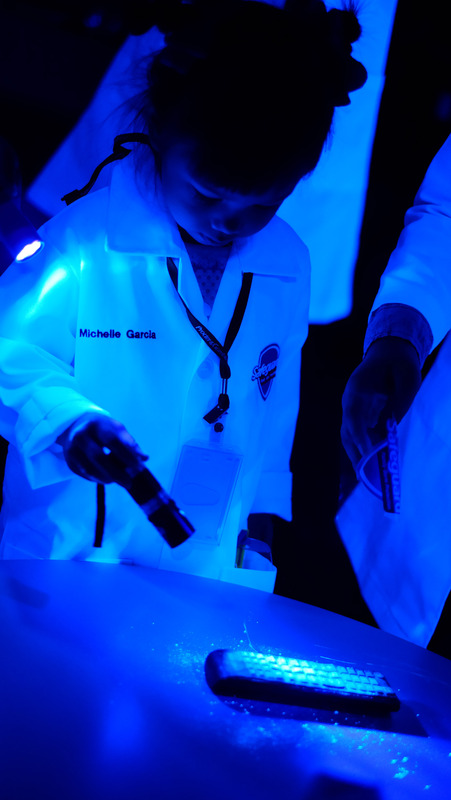 As soon as the lights were turned off, Michelle, Nikka Garcia’s daughter immediately spotted the remote control! 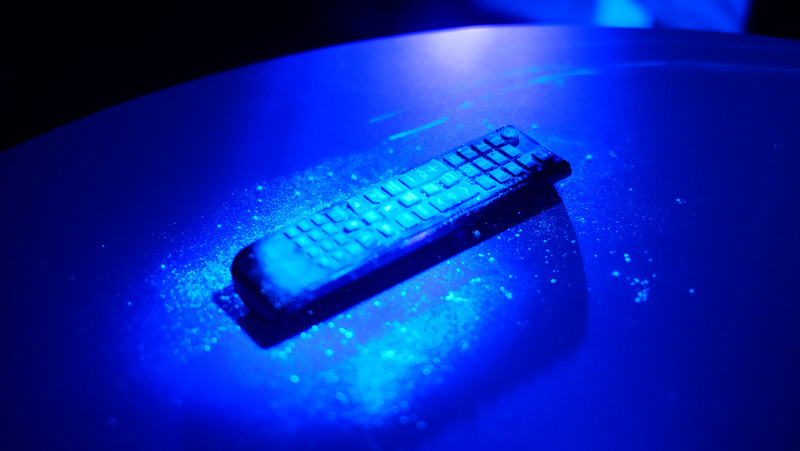 According to David, common items found at home are usually the ones that germs lurk in. 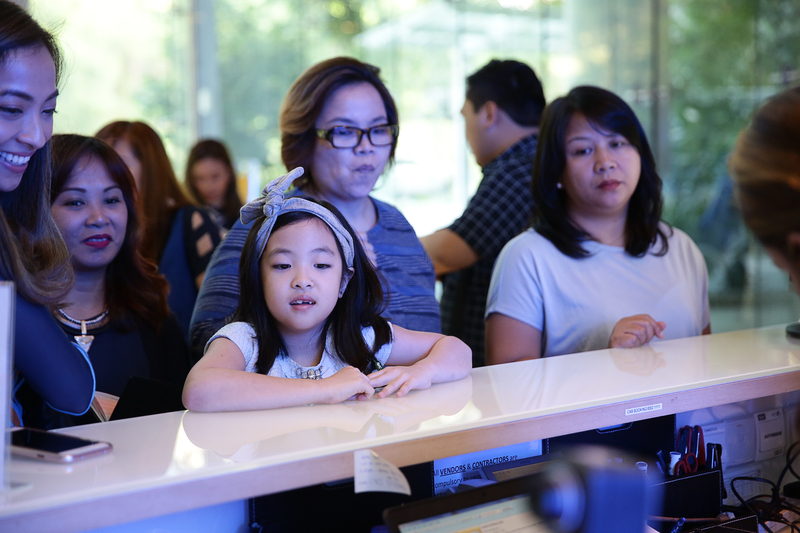 After Gabbie learned about this, she’s been insistent on regularly cleaning our remote controls at home. Hahaha! Who’s the germaphobe now?? The sink, particularly the faucet is also another hotspot for germs. 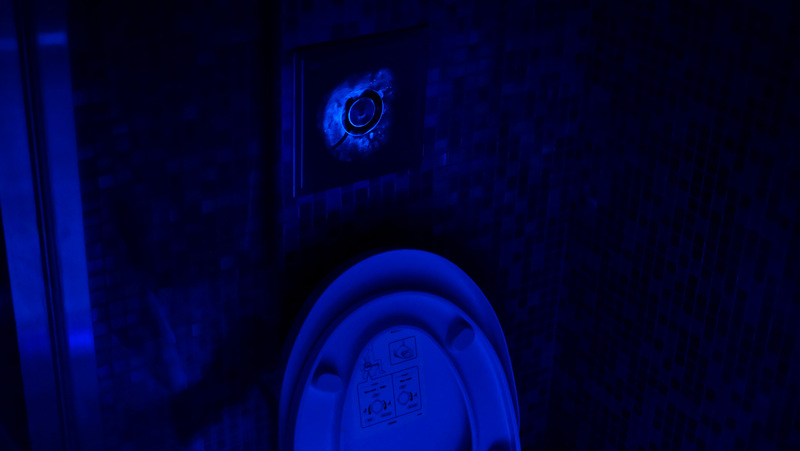 As well as the flush button. Eeeeep! David then proceeded to ask us what we think are the other common items where germs like to hang around: keys, cellphones, toothbrushes, kitchen sponge, toilet, and also floors. Eeeep. This is why we don’t wear our shoes at home and use indoor slippers to at least prevent germs from spreading. Dra. 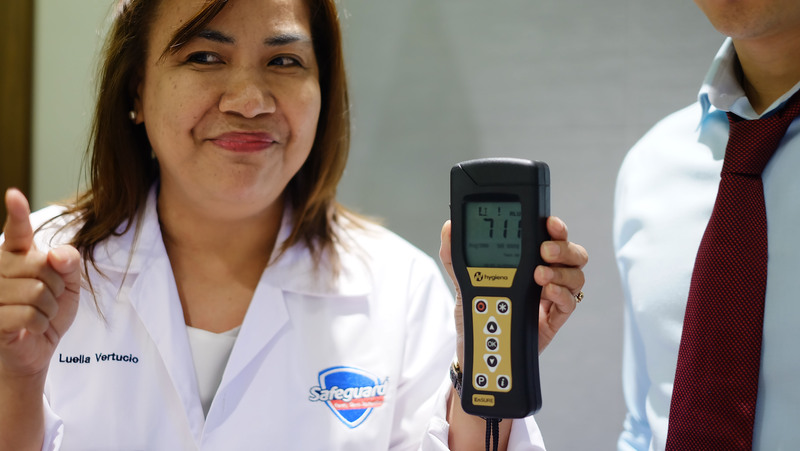 Luella Vertucio of PAMET swabbed a phone to check how much germs it has. The germ meter showed it’s one of the dirtiest items we carry and use everyday. Yikes! Just because it looks clean doesn’t mean it is. After the kids became germ hunters we dropped them off to their designated play area so we can explore more of the Innovation Centre. We proceeded to a lab where we got up close and a bit personal with, guess what? More germs! Hahaha. Angelica Caranza, Section Head of Global Microbiology Capability Organisations together with Mr. Ronaldo Puno, President of PAMET, speaking about the kinds of germs found in the homes of bloggers. 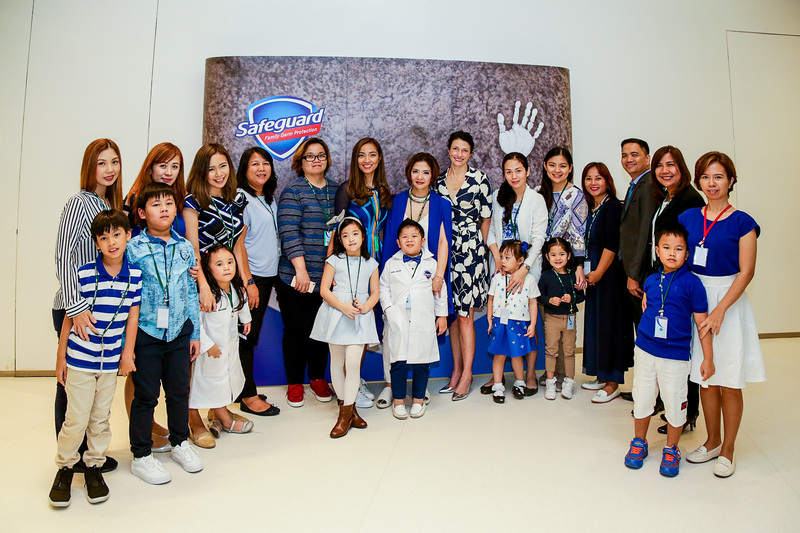 You see, PAMET & the P&G team went to our homes to swab a few items of our kids which they use on a regular basis such as their toys & gadgets. They did skin mimics and found out that there are different types of germs which causes different diseases and infections. These are the most common bacteria found in our homes: Staphylococcus is a common bacteria that causes pneumonia, Kokuria is a bacteria that causes UTI, and Enterococcus Faecalis (found in feces–eeeew!) is a bacteria that causes meningitis. While this was being discussed, I believe my fellow mommas & I have instantly become germaphobes! Nikka, Shari & I sharing a good laugh shortly before we learned that handling raw chicken literally lets us catch germs on our hands. Eeeep! 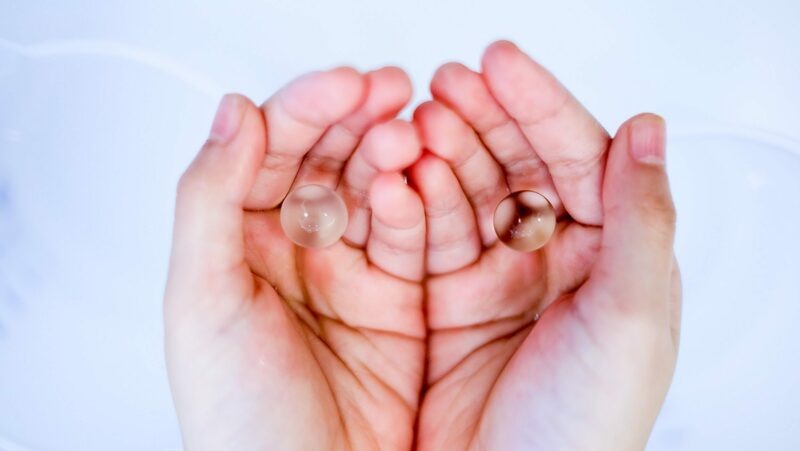 The petri dish on the left shows how much germs there is after handling raw chicken while the petri dish on the right shows how germs is eliminated after washing hands with Safeguard soap. OMG GERMS BYE BYE INDEED! 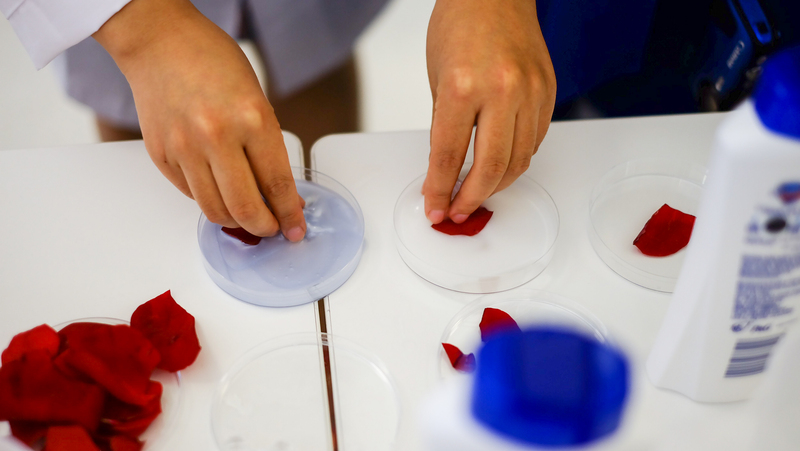 11 petri dishes hold samples of synthetic skin not treated with any soap or treated with beauty soaps from the Philippines. These petri dishes show Staphylococcus aureus, Klebsiella pneumoniae and Escherichia coli growth. 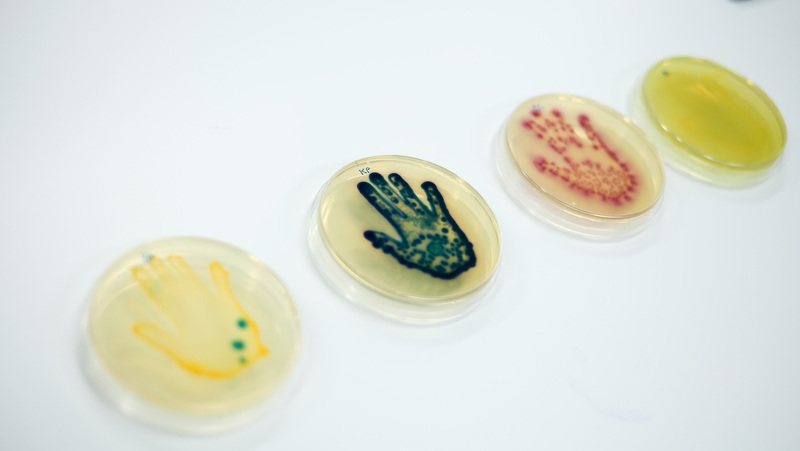 In the midst of the 11 petri dishes is one that clearly stands out. 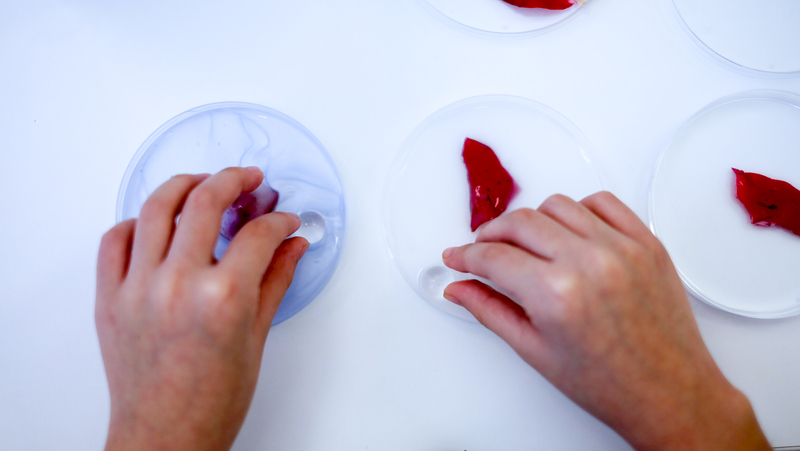 This petri dish holds the synthetic skin treated with Safeguard that has inhibited germ growth. 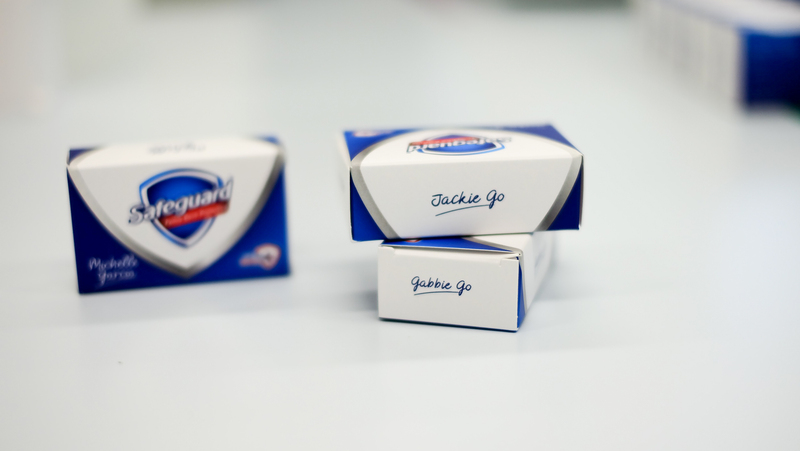 That’s how effective Safeguard is in killing germs, 99.9% of it to be exact! 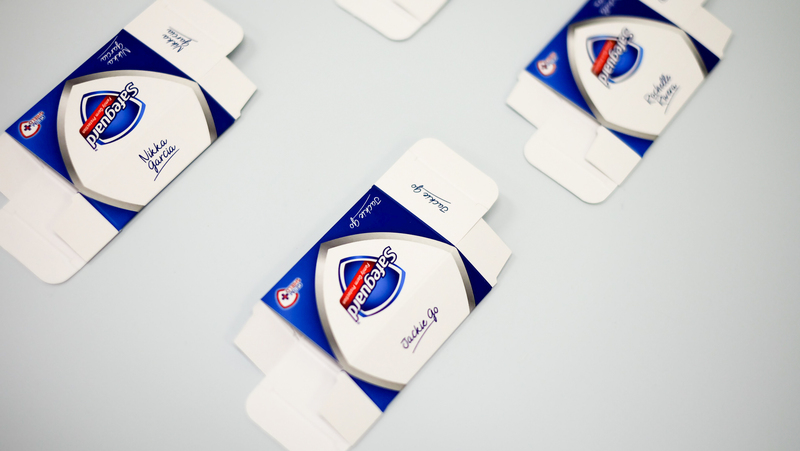 It’s germ shield protection keeps one protected even after hours of washing hands. Dear Safeguard, can you please create wipes as well? 🙂 Us mommas will love you more! Heehee. 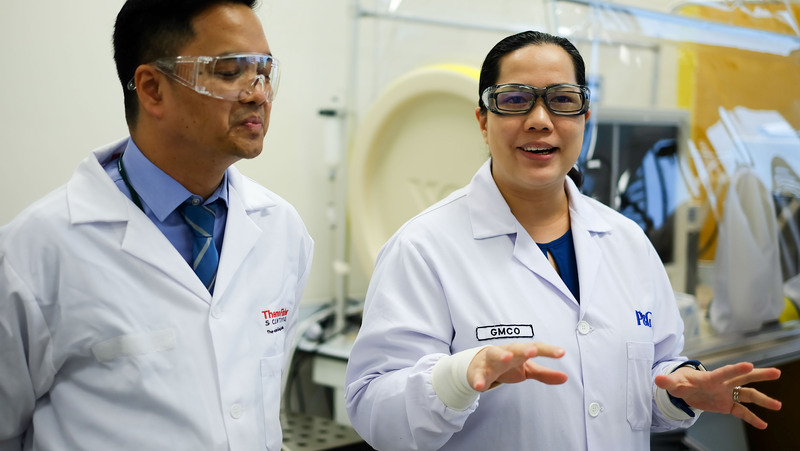 Our last stop was the packaging lab. 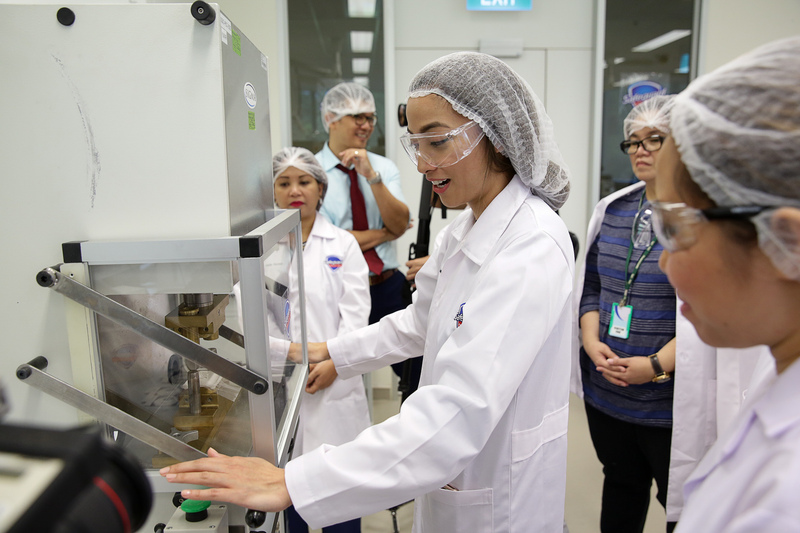 Here we saw how a Safeguard bar soap is prepared and packed. I have tons of photos but we aren’t allowed to post them because it’s top secret! Heehee. Let me just summarised what happens in the lab: After all the ingredients are mixed–soap noodle (basically the one that gives lather), tapioca starch (what binds the soap together), fragrance (that signature Safeguard “clean” scent) and germ shield protection complex (the key ingredient in killing 99.9% of germs) that only Safeguard has–the bar is then molded and cut into different sizes. I got to stamp my own Safeguard soap! Ang legit lang guys! 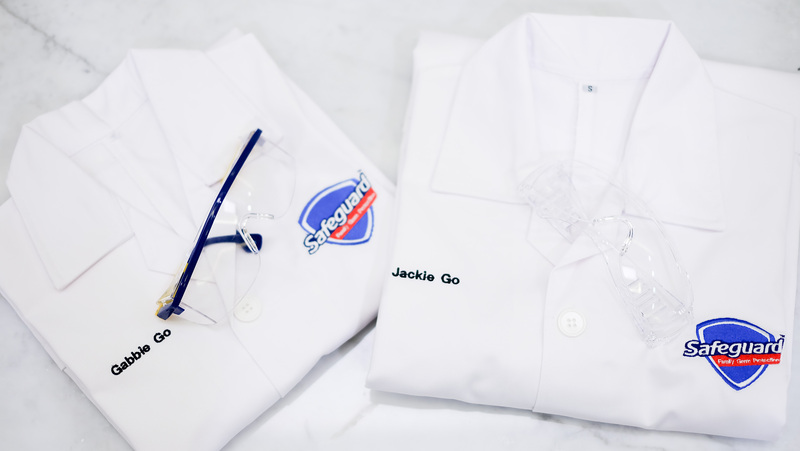 As if this isn’t cool enough, each of us got our very own personalized Safeguard soaps! Gabbie also has her own! So kyooooot! As much as I want to use our bars of Safeguard, I had to keep it as our souvenir. I had to safeguard it (see what I did there?) from the boys who have become our designated toiletry keepers. They refill most toiletries of our respective bathrooms–soaps, shampoos, toothpastes, even change in toothbrush! Hahaha. So our personalized Safeguard goodies are kept somewhere they can’t find! 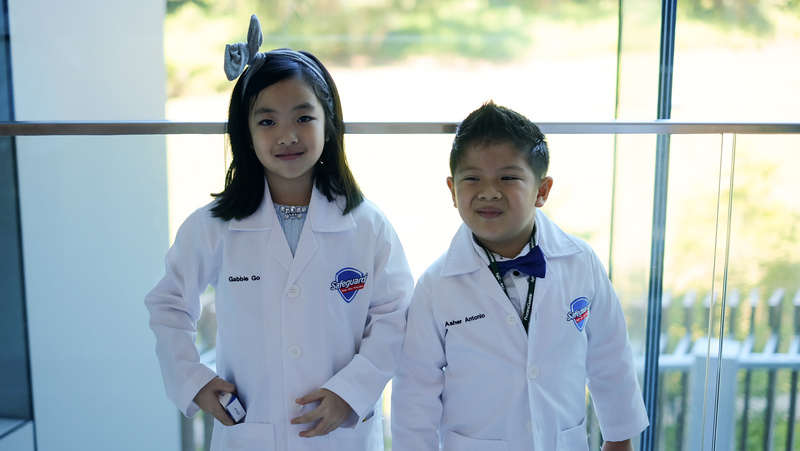 Gabbie & Asher all smiles after getting their own personalized bars of Safeguard soap. 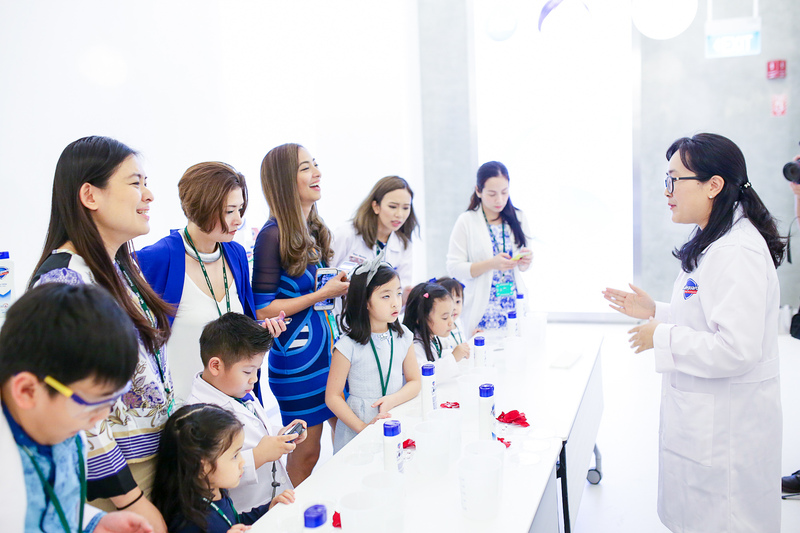 After the mommas had fun stamping our own soaps, it was the kids’ turn to do an experiment of their own. 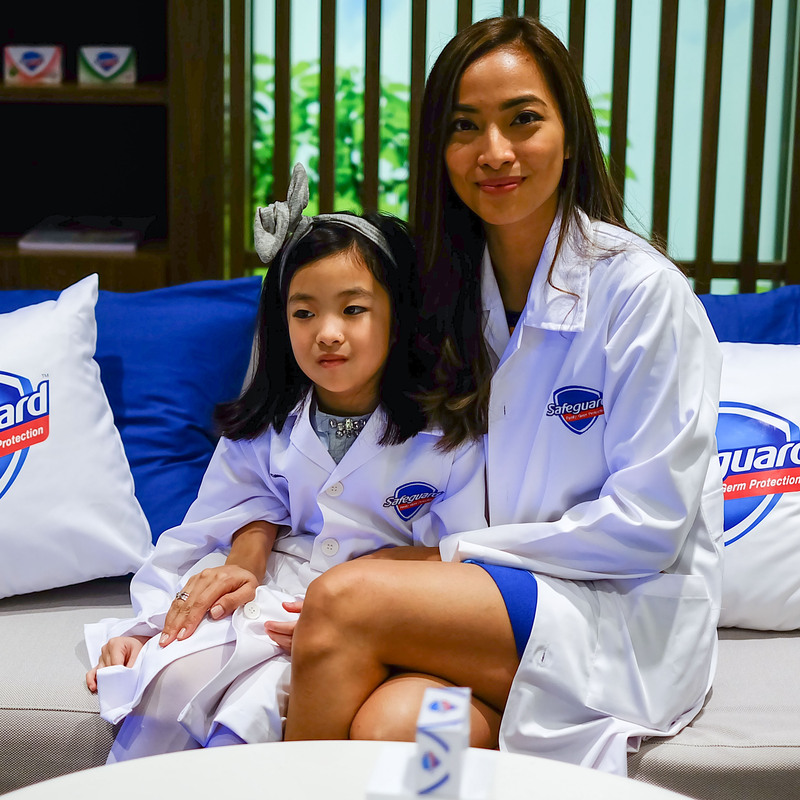 The experiment showed how Safeguard is powerful enough to kill 99.9% of germs yet gentle on the skin. So it was a comparison between Brand X and Safeguard. The mommas stepped aside so our not-so-little-ones can do their own thing. 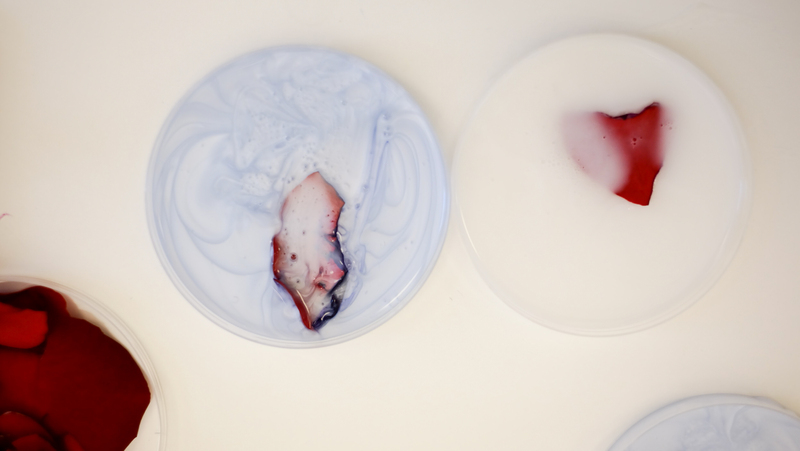 Rose petals were submerged on a petri dish filled with Brand X (left) and Safeguard (right). Next they dipped crystal balls on Brand X and Safeguard. Same result: Brand X gave the ball a hazy matte finish while Safeguard kept its pristine shiny finish. To cap off our discovery science tour, we literally had our hands imprinted. 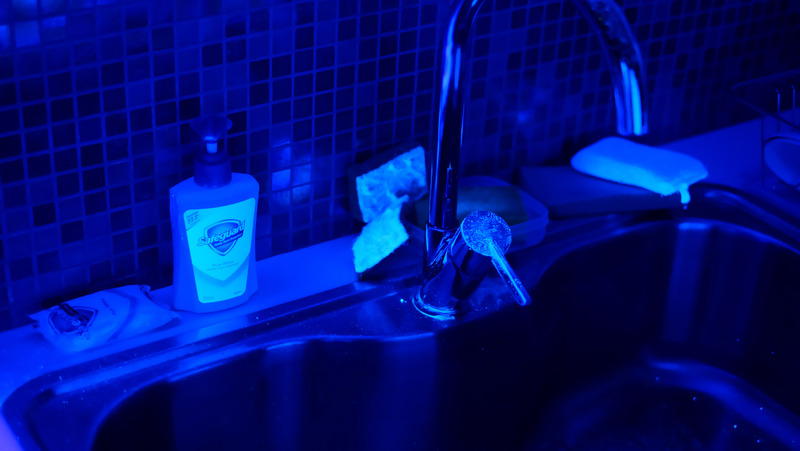 It’s a symbol of our commitment to washing our hands with Safeguard to keep germs at bay because no matter how much we think our surroundings, particularly our home is clean, there will always be germs lurking around. The best way to combat it is to really regularly wash hands! Armed and ready to be germ-free! I particularly love using their hand wash and body wash! Thank you Safeguard! 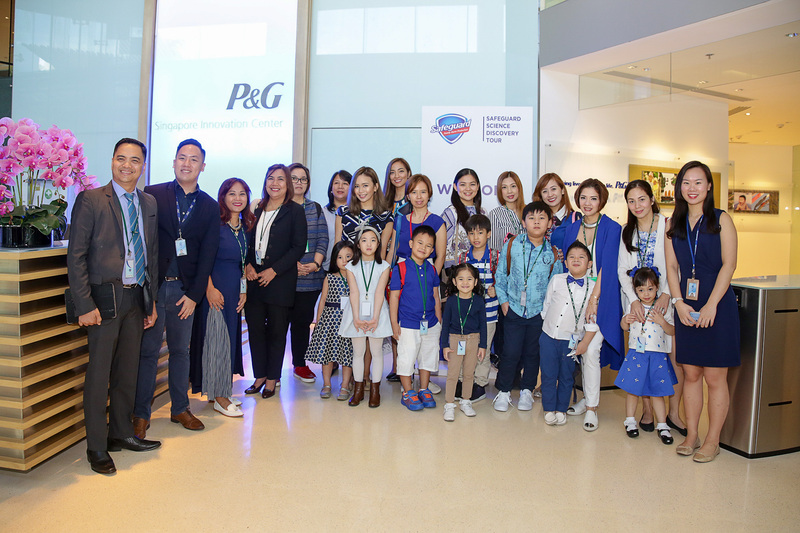 Media, bloggers, kids and PAMET Representatives; Ms. Luella Vertucio and Mr. Ronaldo Puno, with Mrs. Alex Keith, Procter & Gamble President of Global Skin and Personal Care. Thank you again to the P&G team, Safeguard and PAMET for a very enlightening day at the P&G Innovation Centre. It was an experience I will forever remember as my daughter & I learned a lot from this trip. Now more than ever am I truly convinced that washing hands can really save lives! All the more I’ve truly become an advocate of washing hands–not only are you germ-free, you’re also helping eliminate the spread of it which in return prevents you and your family from contracting various diseases and viruses, letting you live a healthier life! 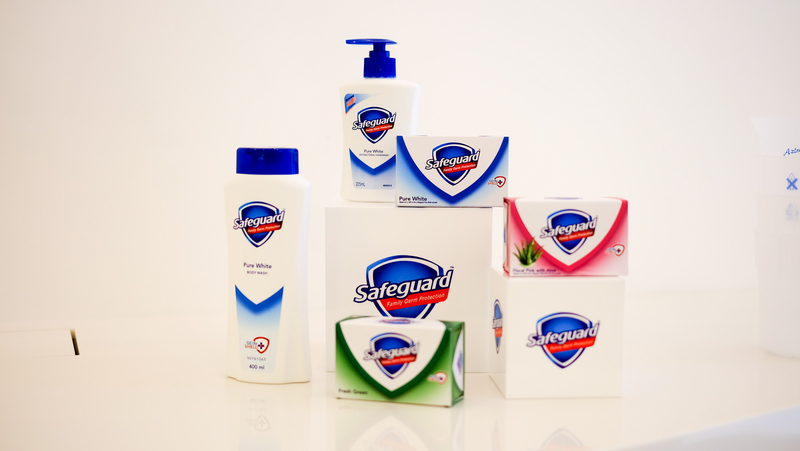 Safeguard is available at leading supermarkets and drugstores nationwide. Happy 50 years Safeguard Philippines! Really cool to get a behind the scenes look at how safeguard makes their soaps. I’ve sort of become germphobic ever since I gave birth to my preemie twins! We have safeguard bar soap, handwash and hand sanitizers in every room of our house to make sure our hands are clean before holding the babies. jackie, the bag! where from?